Find out more about our fabrics or click here to inquire about a particular material. 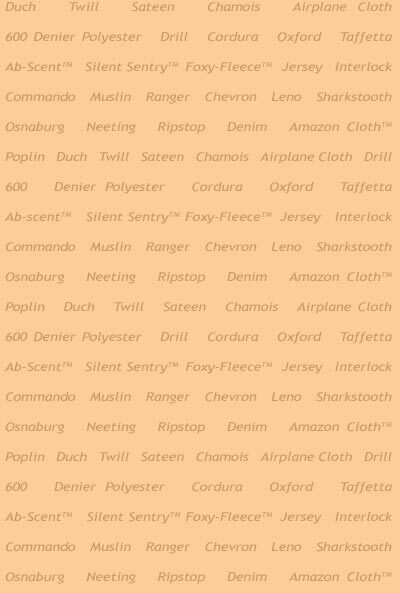 Fox-Rich fabrics find their way into a myriad of end uses such as government, hunting, and camping accessories and clothing, theatrical and many more. 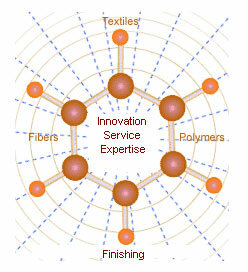 Our government specification fabrics range from cloth for wiping rags to a special fabric used to restore old airplanes. Our hunting and camping fabrics range from camouflauge T-shirt material to a laminated fleece that is waterproof and breathable in which the inner layer will absorb perspiration and the outer layer will wick moisture away from the body. Our theatrical fabrics range from muslin upon which scenery is painted to 36 foot wide inherently flame retardant fabrics in colors. We maintain a large greige and finished inventory on most standard fabrics. Our goal is to provide our customers with competitive prices and on-time deliveries without compromising the quality of our product. Mailing and newsletter are in a printer-friendly format requiring Adobe Acrobat Reader.